It is another glorious Monday and the start to another long week. After finishing my lovely test on Saturday, we salvaged the remainder of our weekend enjoying some fun outdoors as the weather was pretty pleasant. 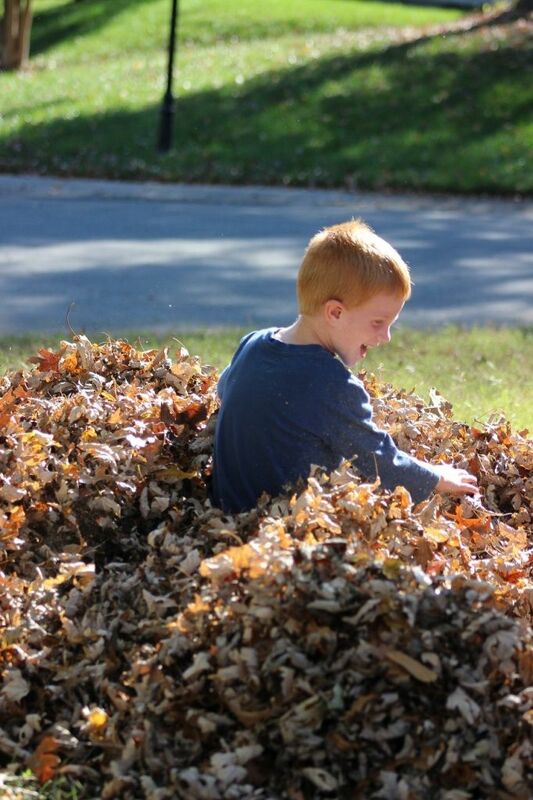 Daddy needed to blow/rake some more leaves that were killing the new grass he had planted so that gave us the opportunity for some leaf pile jumping. 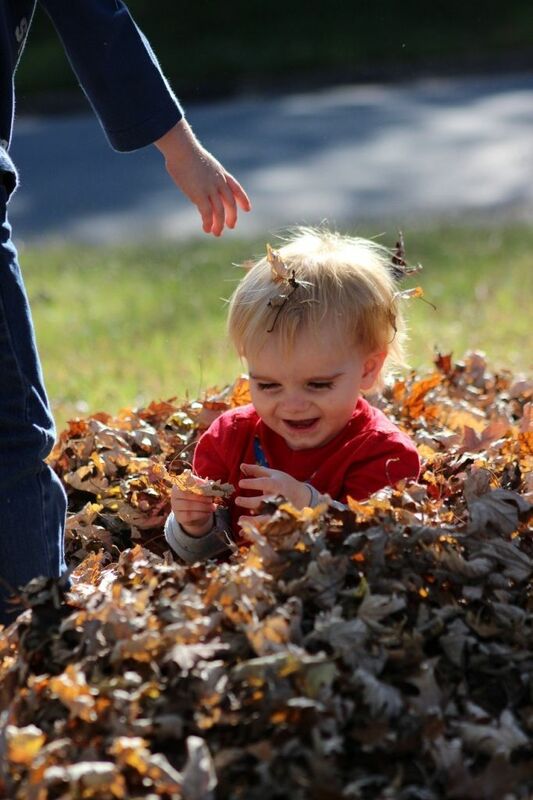 Loving playing in the leaves! Loving cousins who join in the fun! 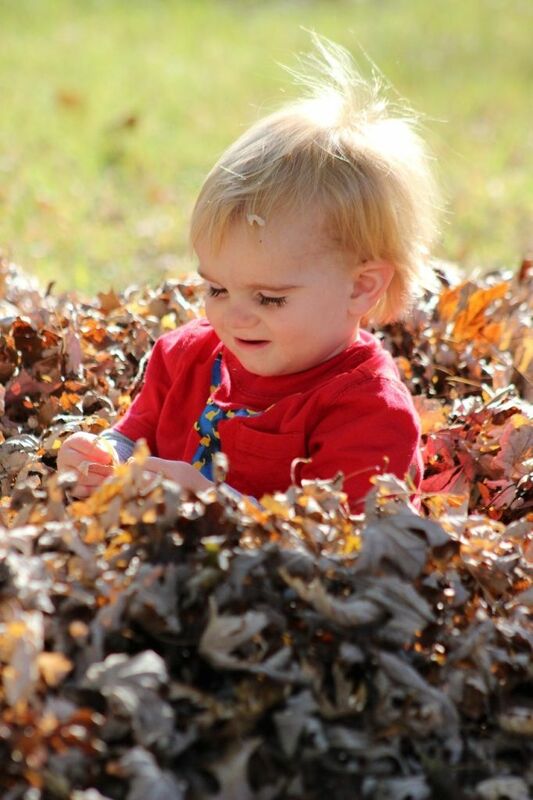 I'm lovin' the leaf lovin'! And I hope you feel good about how your exam went. I was thinking of you on Saturday. They definitely had a blast! 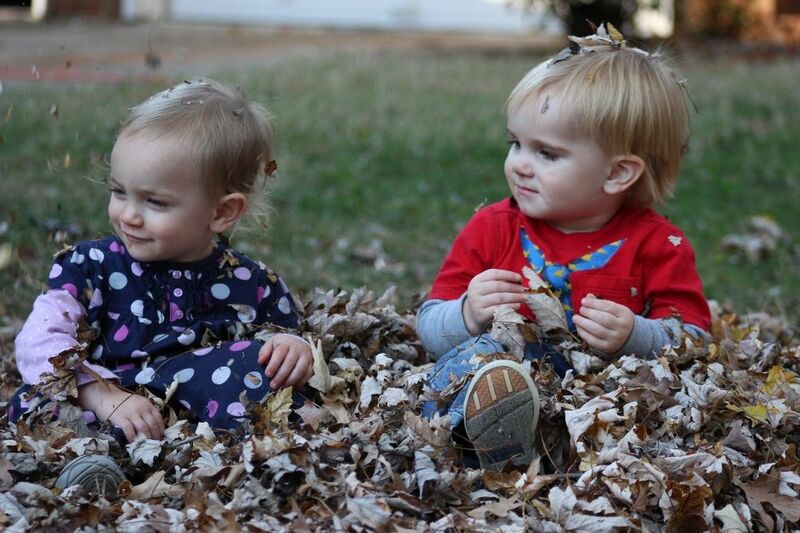 Oh I have so wanted photos just like what you got... kids playing in the leaves. Love them! I got a ton more that I have to go through before posting on here for memories sake. This was just a "teaser." Ha! 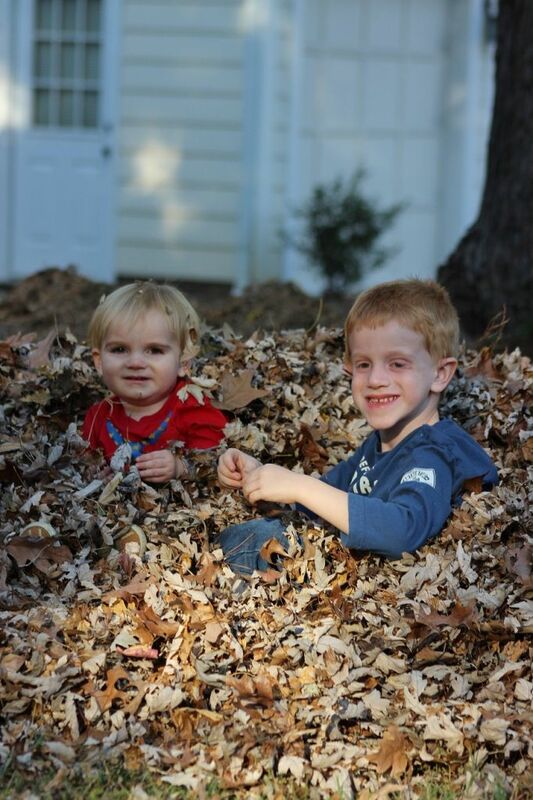 They always have fun playing in the leaves together...even last year when Brody was only six months old.